There are only 229 available of the Heavy Duty 10-Socket Vintage Light Strand. Your selected quantity has been adjusted. 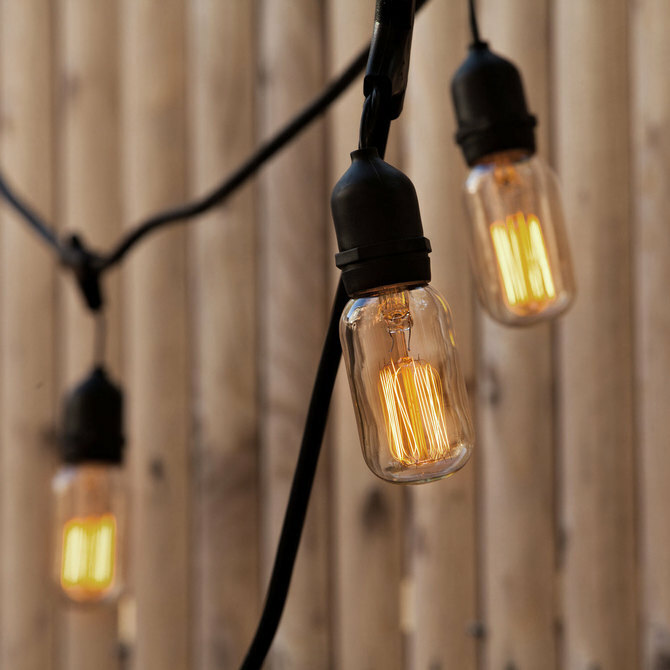 Add a warm glow and touch of charm to your yard or outdoor gathering with our durable light strand and vintage bulbs of your choice. Features ten bulb sockets along a heavy-duty, twenty-one foot black strand with convenient hoops for hanging. Very quick shipment and arrival. Looks great! 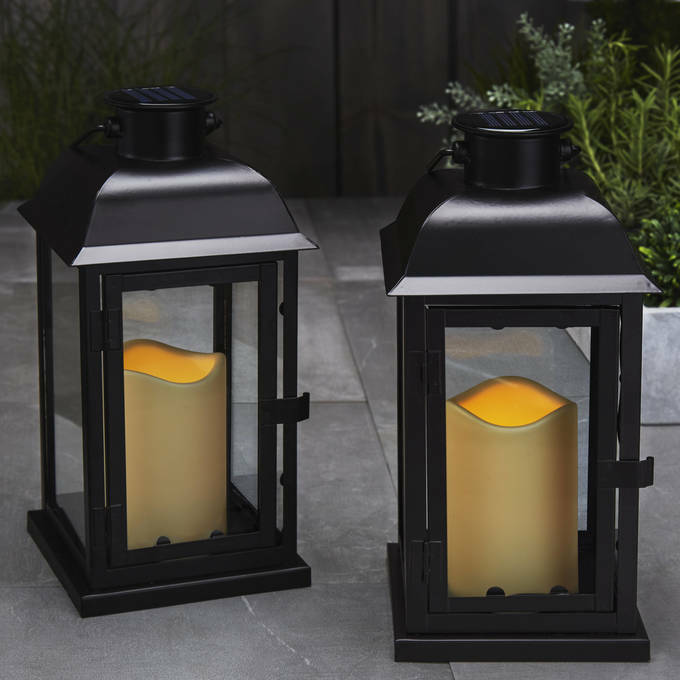 Just put these on my front patio and they look great . Look and feel way more expensive than they were . 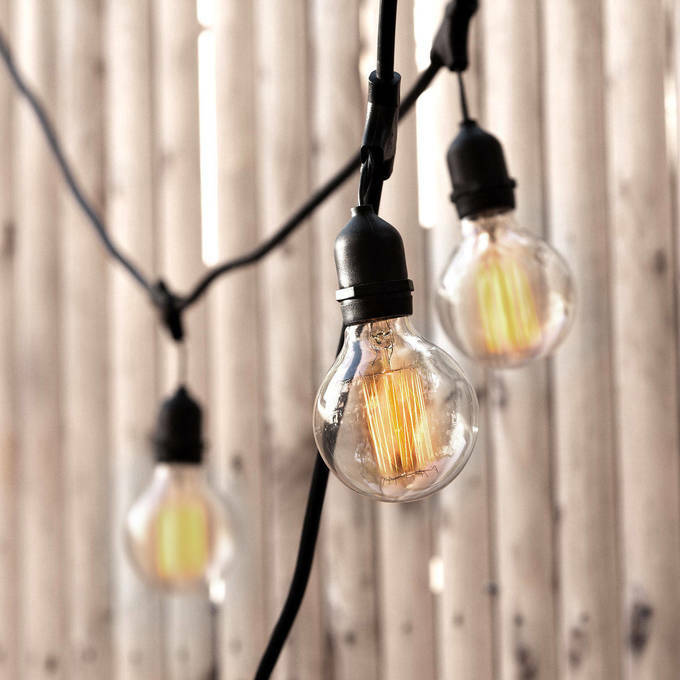 My wife and I were very excited when we found your site, and the light strand looked perfect for on the old wooden ladder that we plan to suspend over our kitchen table...the style and wattage of the vintage bulbs seemed to be just what we wanted as well...since they appeared in the image, we thought they were included, and we ordered, only to be disappointed when the package arrived with only the strand...I had to look over my order very carefully to find that the bulbs weren't included...I am not a complainer, and I already have the strand mounted on the ladder--just think if you include the bulbs in the photo, they should be included with the strand. 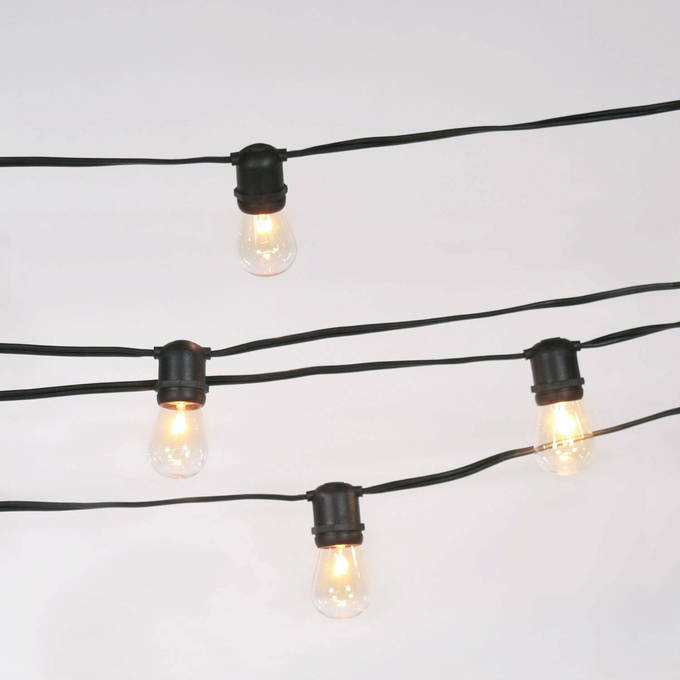 Light strings are very heavy duty and easy to hang. They look great when lit . My only complaint so far is that 3 of the bulbs received did not work. I hope the process of getting replacement bulbs sent out will be an easy one. The lights arrived fast and packaged well. After examining the lights I was very happy with the quality. 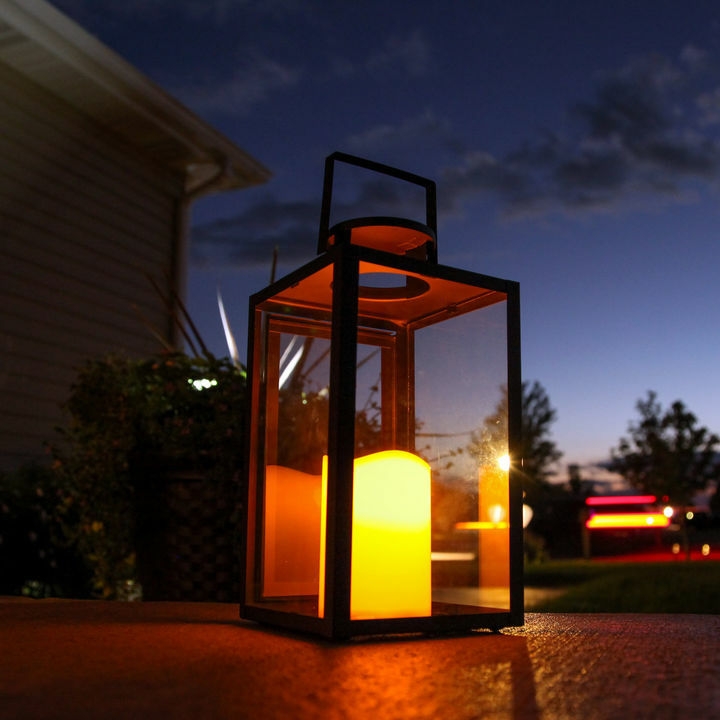 The lights are great all around, and hey adds very nice atmosphere to our porch. The only issue we had is that one of the bulbs that came in the package was broken. We are trying to get a replacement set which is kind of annoying. Love the quality of the Bulbs! These lights looked good, although their light is more suited for a larger space than my small porch. 2 of the bulbs did not work but the return process for all of this was easy and I ordered some smaller lights. Although I will the smaller lights had the elongated bulb shape of these. Everything went as expected and my items arrived promptly. Love these light strings. 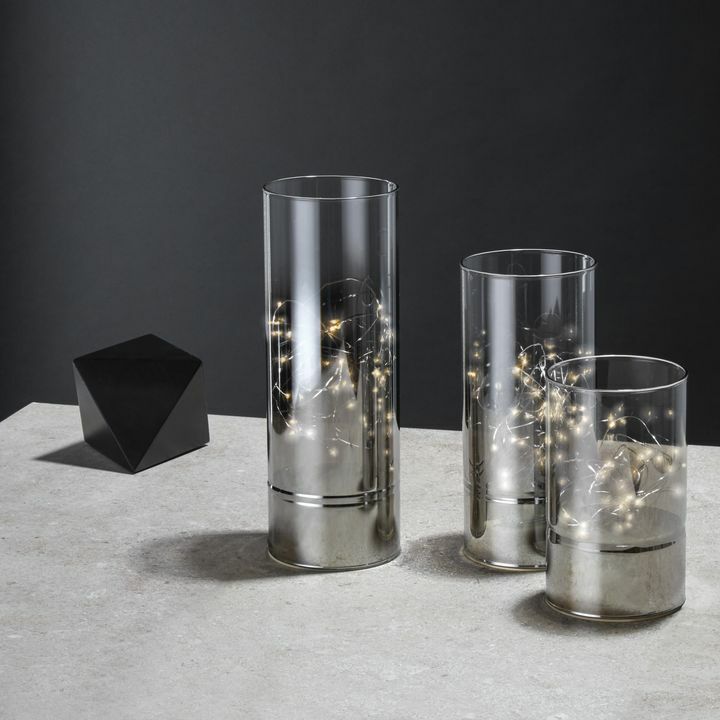 They are perfect to set the stage for our evenings. We couldn't be happier with the quality. Everything was good except for 1 bulb did not work upon first test after opening. And the bulbs put out a lot of heat. You don't want to be near them or have them near anything. They look great though! The strand is good quality/heavy duty. It looks very nice. The only thing that didn't work for me is the size and wattage of the bulbs that were available. I have a small patio, 40W bulbs are very bright. So, if you want relaxing lighting be sure to buy 25W bulbs, not the "frequently bought together" suggestion - not only were they too bright, but they are way to big and get fairly warm/hot to the touch. Excellent product and service. Love the vintage look of the lights. These are incandescent bulbs. You can see the same style of stringer in an LED version by clicking here. Are these exclusively for outdoor use only? 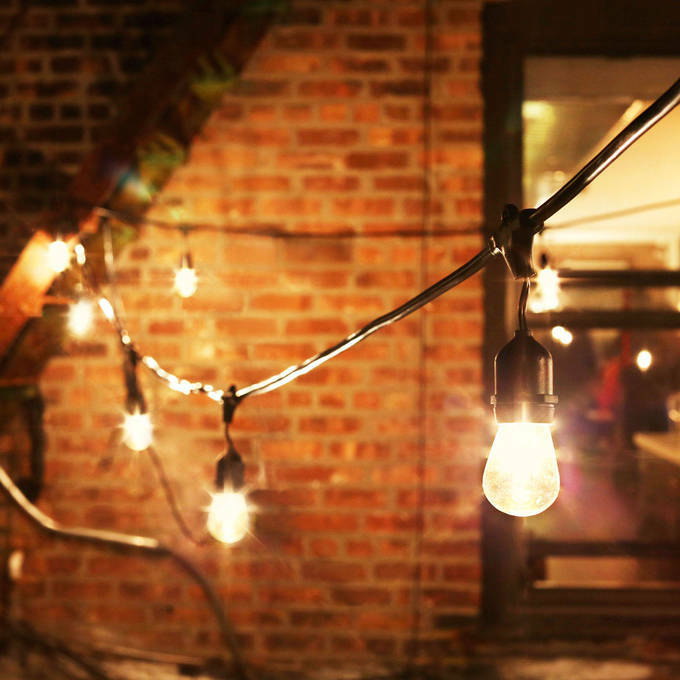 These string lights can be used indoors or outdoors. Hi can these lights go on a dimmer? These work great with a dimmer. Be sure to consult the Product Specification tab on this page for a list of dimmers that we've tested and confirmed are compatible. Can I string them together? You are able to connect up to 3 strands. Hi! Are back up bulbs sold separately for these strings? I would want to have back ups with my order. Thank you! 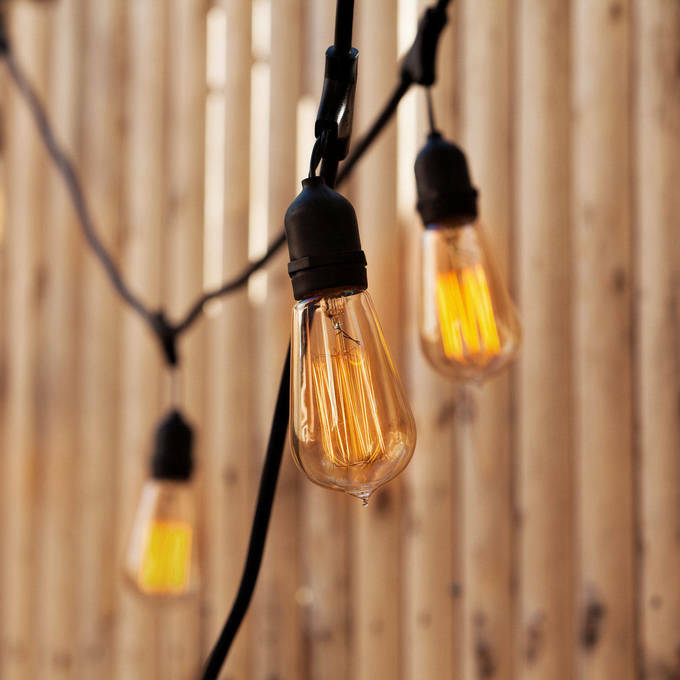 You can get more of these bulbs by visiting this page. Are all of these vintage stringers plug-in only? Any that use battery? Sorry, our incandescent stringers are too bright (they use too much energy) to be powered by a battery. 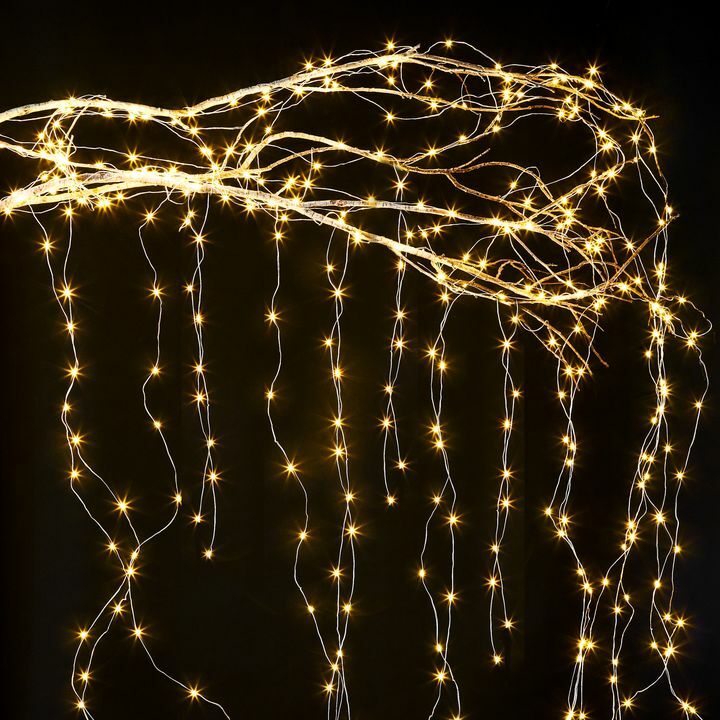 Click here to see the full selection of battery operated string lights. The Heavy Duty 10-Socket Vintage Light Plug-in Strand can have up to six total strands connected end-to-end. If a bulb burns out, the rest of the bulbs will still be lit. 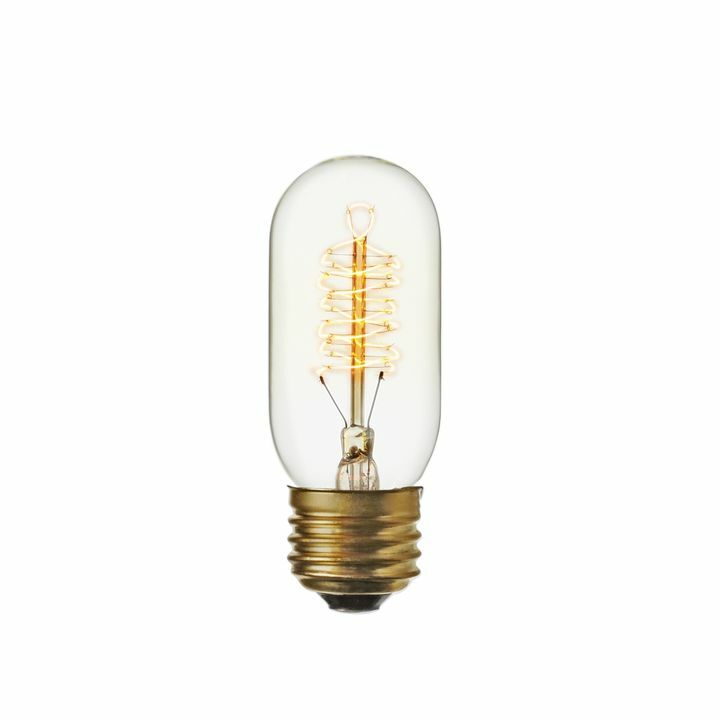 For maximum bulb life, we recommend our beautiful vintage inspired LED bulbs. 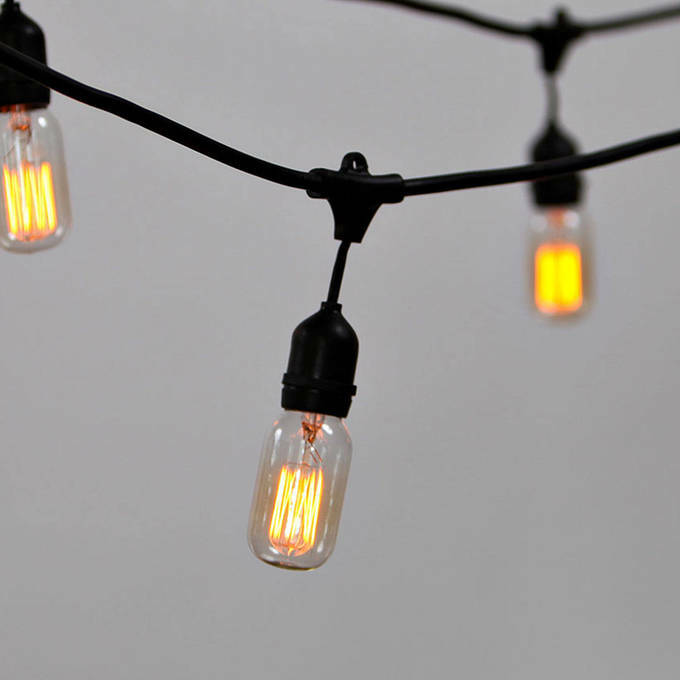 Our LED E26 bulbs will work great with the Heavy Duty 10-Socket Vintage Light Plug-in Strand. We absolutely recommend them. 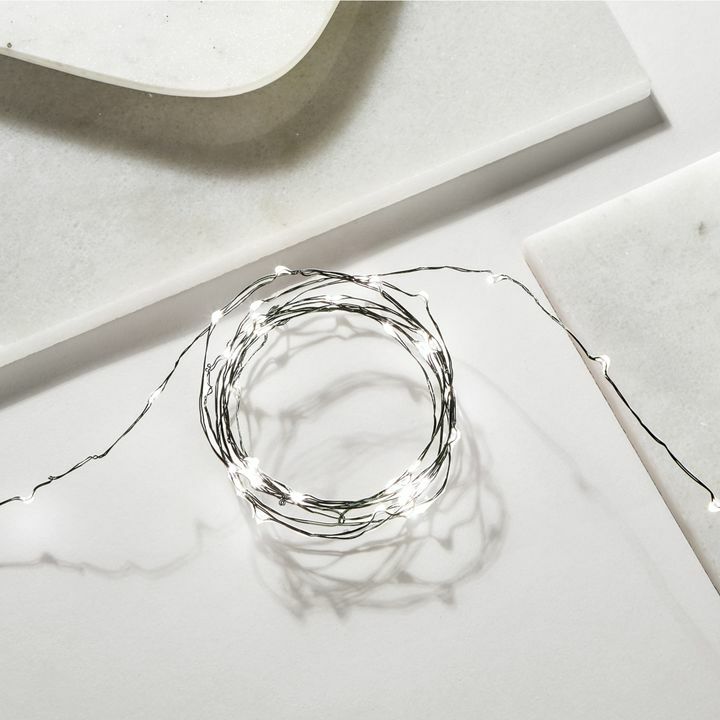 These string lights are dimmable. How many can I connect together? 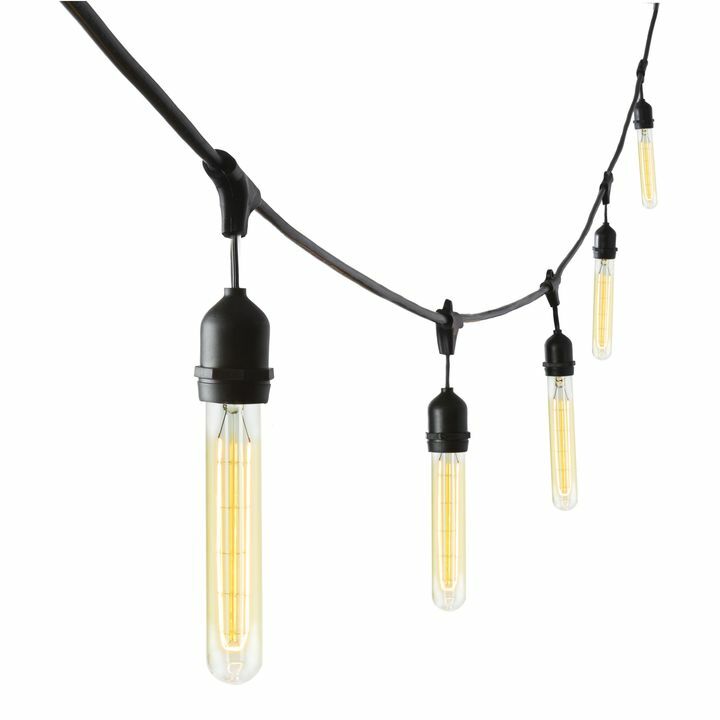 You can connect up to three of these stringers together if you're using 40 watt incandescent bulbs. 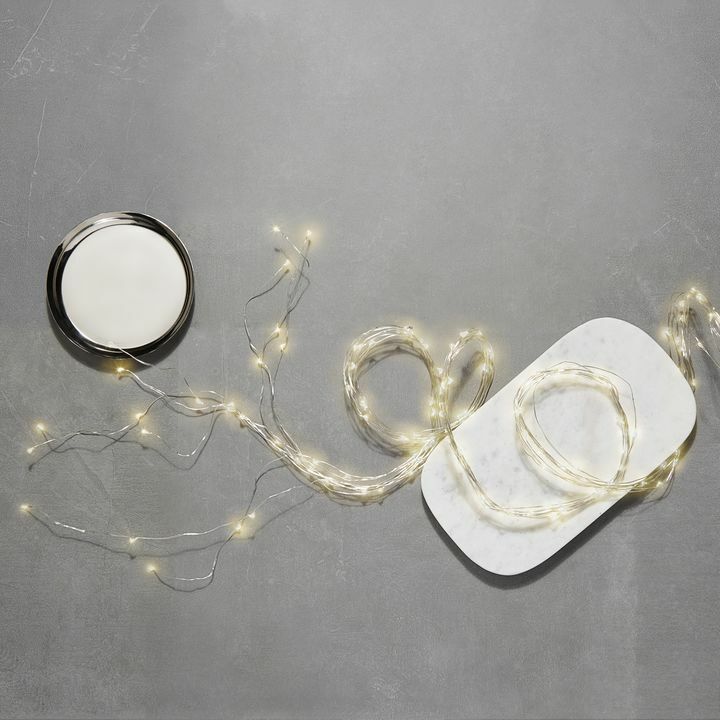 If you want to connect more, we'd recommend upgrading to LED. LED bulbs use much less energy so it's safe to connect up to ten stringers! Click here to see the same style in LED. Hello, I'm looking to buy the Heavy Duty 10-Socket Vintage Light Plug-in Strand. You recommend 25W bulbs but then.. you also propose to buy the bulbs from you, but you proposed 40W ?? (customer who buy this also buy these bulbs... 40w)So, I'm confused... 40 W will be ok ? Also, how to turn it on and off ? just unplugged ? no switch ? 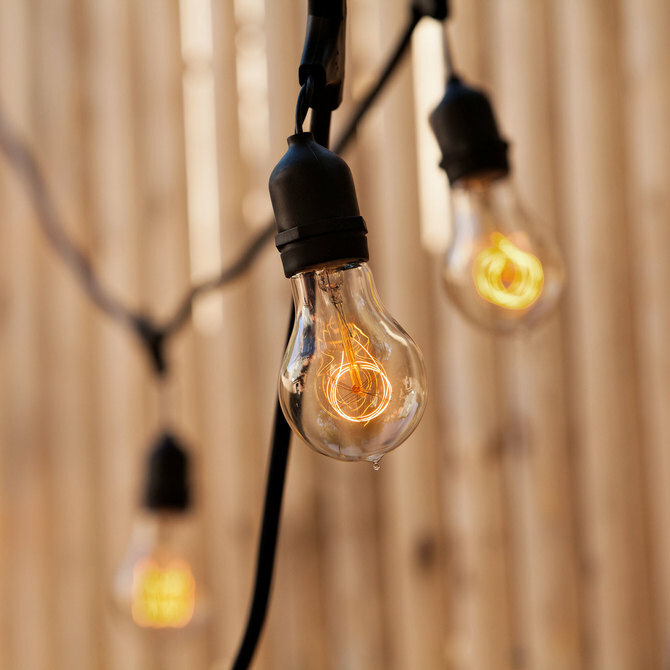 Hello, we recommend using 25W bulbs for when multiple string lights are being connected. Each strand has a 600W limit. So, if you are planning on just using one strand a 40W bulb will work great. If you are planning on purchasing and connecting many strands (could connect up to 5 strands) then you would have to use 25W bulbs. 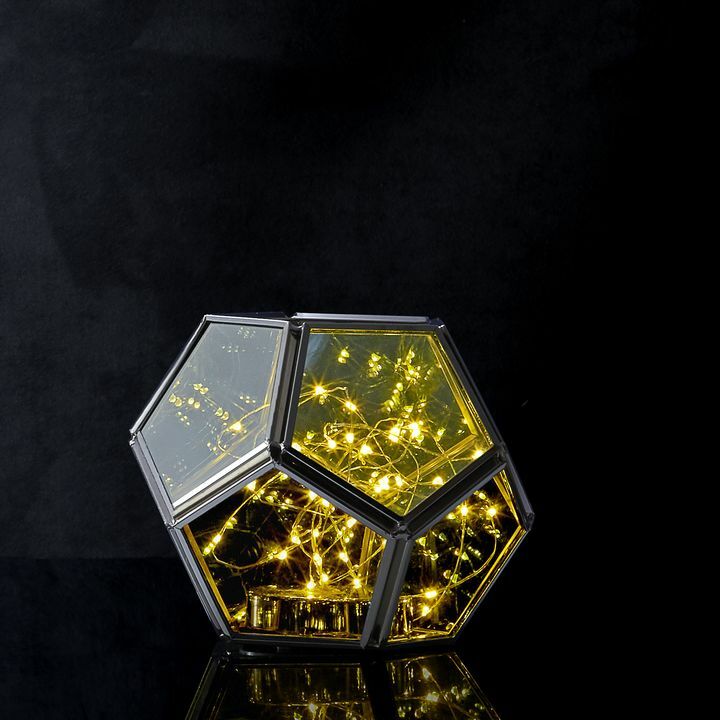 This String Light turns On when plugged in and turns Off when unplugged. All the best! Can you also increase the spacing between the lights, say 4' between? How long would they take to be ready to ship? No, these sockets are set in place and are currently in stock. They will ship out the same day if you place the order before 4 pm EST. If you place the order after 4pm, we will process the order and it will be shipped out the next following day. Will socket accept standard 25w light bulb. Yes, we suggest using 25W bulbs, and any standard E26 should work. does this have a 3 prong plug? This item has a 2 prong plug. How long is each strand? What's the distance between each socket? Total Length: 17.5 feet. The distance between each socket is 24 inches. Will this strand work with the European 220v system? I need 50 Bulbs in total so I plan on purchasing 5 Strands, what type of bulbs would you recommend ?